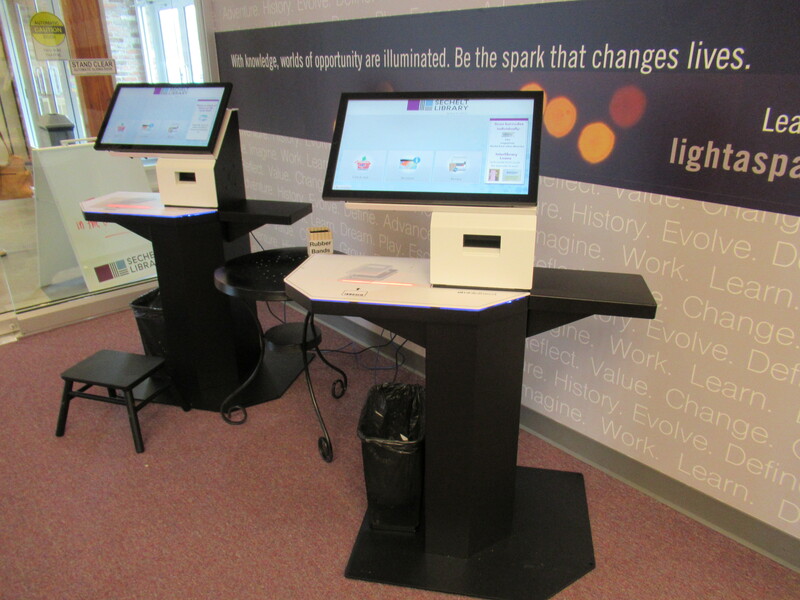 Please note: The library phone system will be down for a few hours on Wednesday April 24, while a new system is being installed. 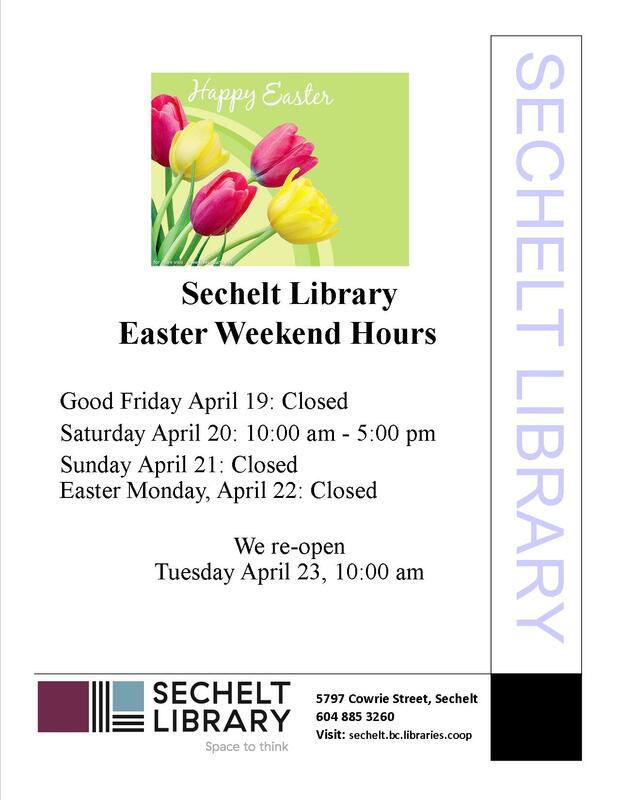 Easter Hours – Closed: Friday April 19 and Monday April 22, 2019. 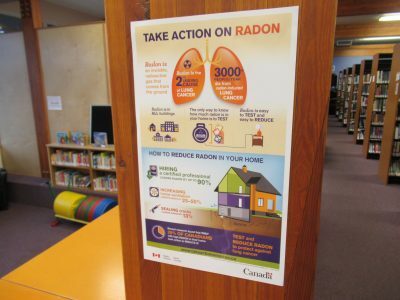 Borrow a kit to measure the radon level in your home. 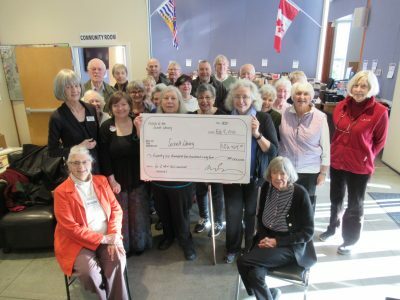 The Better at Home program and the Sechelt Library have joined resources to bring library books, DVDs, CDs, or magazines to people who are homebound. 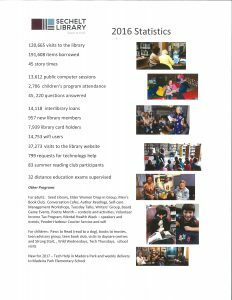 For more information, see the Sechelt Library at Home section of the website. Browse our poetry display…or find something else from our collection. 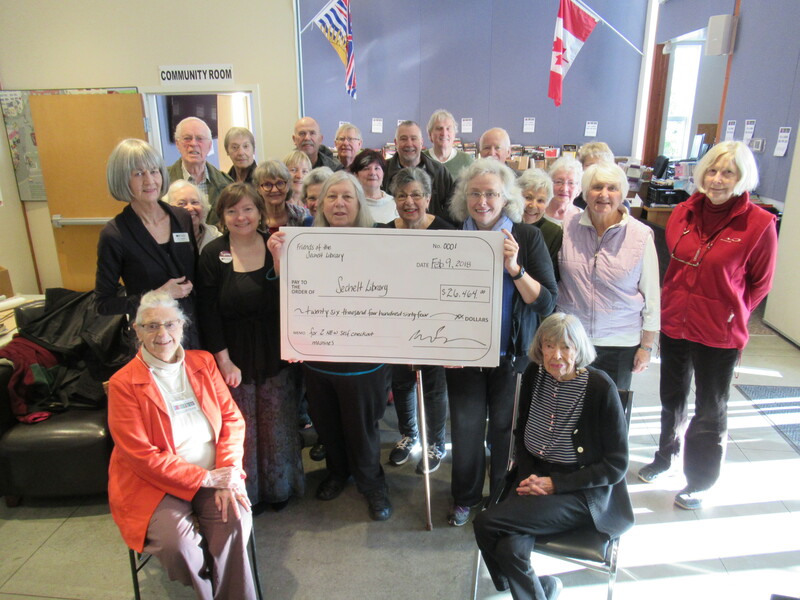 A HUGE thank you to the Friends of the Library for their generous donation of $26,464.00 for the updated self check machines. 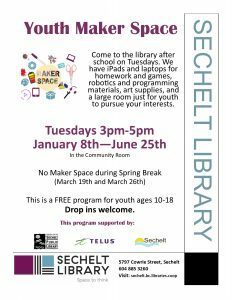 Tech Support with Sam Iversen Appointments for Sechelt Library Card holders ONLY. 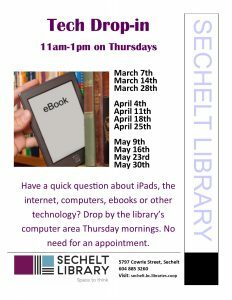 Thursday Tech Drop-in 11:00 am to 1:00 pm, open to everyone. See schedule. The Childhood Memories Project survey can now be completed online.